Strongly built, short coupled, very active; broad in skull, broad and deep through chest and ribs; broad and strong over loins and hindquarters. Good tempered, very agile (which precludes excessive body weight or excessive substance). Excellent nose, soft mouth; keen love of water. Adaptable, devoted companion. Skull broad with defined stop; Clean cut without fleshy cheeks. Jaws of medium length, powerful, not snipey. Nose wide, nostrils well developed. Jaws and teeth strong, with a perfect and regular complete scissor bite, ie. the upper teeth closely overlapping the lower teeth and set square to the jaws. Chest of good width and depth, with well-sprung barrel ribs - this effect not to be produced by carrying excessive weight. Level topline. Loins wide, short coupled and strong. Well-developed, not sloping to tail; well turned stifle. Hocks well let down, cow-hocks highly undesirable. Distinctive feature, very thick towards base, gradually tapering towards tip. 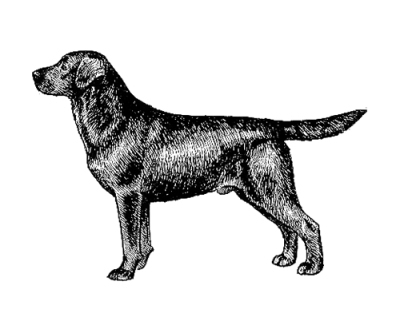 Medium length, free from feathering, but clothed thickly all around with short, thick, dense coat, thus giving "rounded" appearance described as "Otter" tail. May be carried gaily, but should not curl over back. Wholly black, yellow or liver / chocolate, yellow range from light cream to red fox. Small white spot on chest permissible. Any departure from the foregoing points should be considered a fault and the seriousness with which the fault should be regarded is in exact proportion to its degree and its effect on the health and welfare of the dog and on the dog's ability to perform its traditional work.